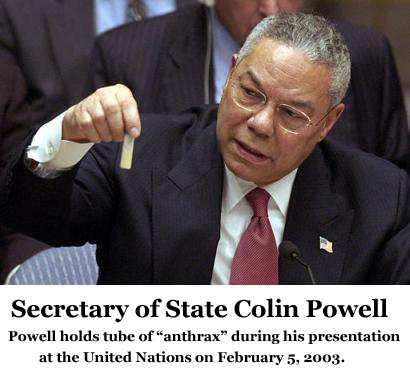 Congress investigates FBI anthrax investigation « CASE CLOSED … what really happened in the 2001 anthrax attacks? 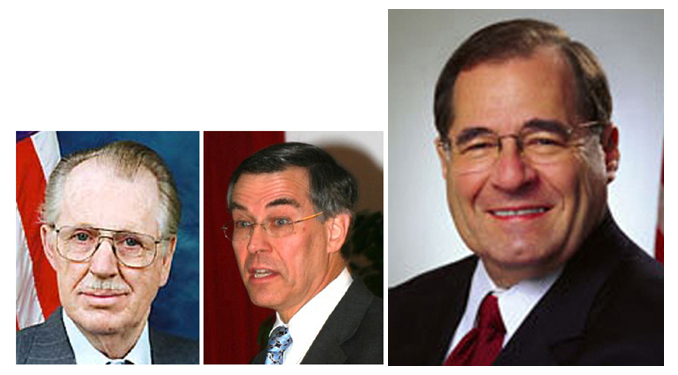 Congressman Jerrold Nadler (D-NY), Chair of the House Judiciary Subcommittee on the Constitution, Civil Rights and Civil Liberties, reiterated his call for an independent investigation into the 2001 anthrax attacks which killed five people and sickened 17. 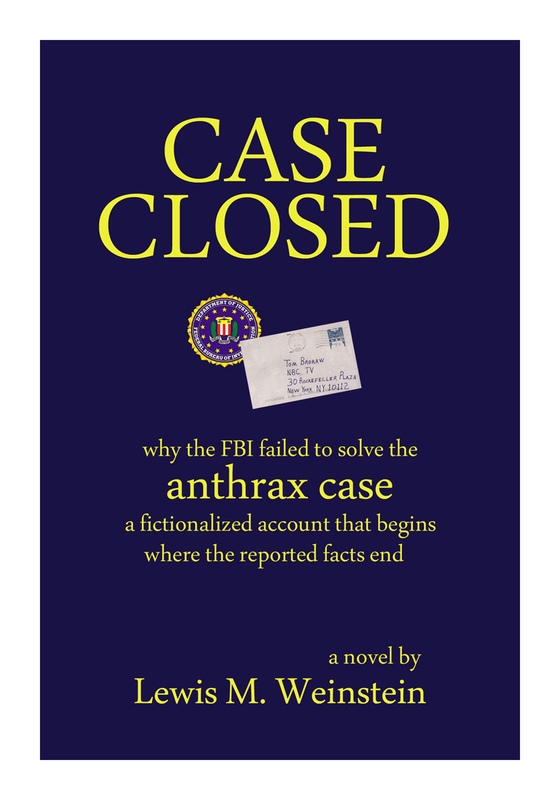 “Despite the FBI’s assertion that the case of the anthrax attacks is closed, there are still many troubling questions. 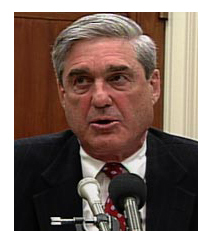 For example, in a 2008 Judiciary Committee hearing, I asked FBI Director Robert Mueller whether Bruce Ivins was capable of producing the weaponized anthrax that was used in the attacks. To this day, it is still far from clear that Mr. Ivins had either the know-how or access to the equipment needed to produce the material. Didn’t FBI Director Mueller’s well-intentioned order compartmentalizing the Task Force not merely prevent the “connecting the dots” but also exercising such personal responsibility? An early internal FBI memo talked about how only creative and self-starting investigators should be assigned to Amerithrax. But lead Investigator Lambert appears to have been right in objecting in a written memo to Director Mueller’s order of compartmentalization. Director Mueller strikes me as a stand-up and very smart guy who, despite his numerous and overwhelming responsibilities, will do all he can to reach a successful and correct Amerithrax resolution — despite the obstacles. He no doubt understands that dozens of scientists, attorneys, intelligence analysts, and prosecutors have cast serious skepticism about the FBI’s characterization of its evidence against Dr. Ivins. The validation of the science by the NAS is an irrelevant sideshow given the nature of the gaps in the evidence presented thus far by the FBI. Their characterization of the proof of Ivins’ guilt profoundly undermined the public’s confidence. It is as if the investigators and officials were motivated by a fear of being sued for Dr. Ivins’ death. There is something worse than being sued. That’s getting the Crime of the Century wrong — when a threatened aerosol attack of a major city using anthrax may be at stake. I think the situation for the FBI/DOJ is very complex. They were clearly hoping that the Taylor/Persichini presentation of August 2008 was not going to met with such skepticism from elected officials, scientists, the media and the public. Since August 2009, their position has gotten worse – there is even more skepticism as the details of the science are looked at deeply – the impossibility of one person making the spores, one person creating the powder, presence of silicon etc. 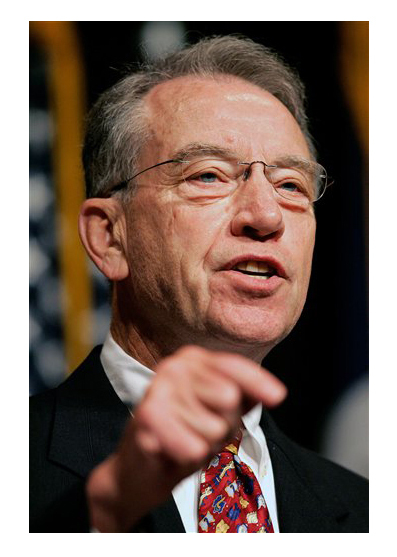 If it were not for the huge skepticism, unusually bipartisan with high-profile senators even openly accusing the FBI of a cover-up, the case would likely have been closed last year. But it wasn’t. It’s very interesting that the two likely main architects of the “Ivins dead-man” resolution to Amerithrax are the DOJ’s Jeffrey Taylor and the FBI’s Washington DC head Joseph Persichini. 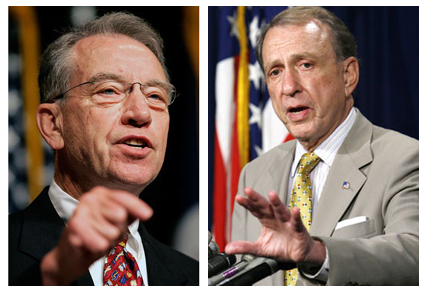 These guys seem to be at the heart of the joint DOJ/FBI decision to accuse Ivins. They staked their reputations on it – and you would think they would have been keen to formally close the case. Clearly something happened to ensure that the case was not closed in a timely manner (of course we’ve heard the usual feeble excuses like “tying up loose ends” etc. – but clearly something major happened. Taylor resigned in May of last year – about 2 months before the supposed July 24 2009 date for closing the case (which never happened). 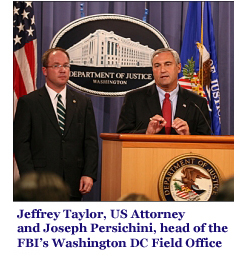 Persichini was removed from his position has FBI DC head in December 2009 (purportedly for cheating at an exam). Thus the two architects of the “Ivins dead man” resolution are no longer there. So what will happen now with closing the case? Will Taylor and Persichini’s replacements embrace the “Ivins dead man” resolution? How could anybody in good conscience buy into this? More importantly, what does Mueller do? Let’s start with the premise that if the DOJ/FBI are forced to change their minds that Ivins did it alone – that Mueller could not survive and would have to resign. Surely there could be no other path left for Mueller if that turns out to be the case. With this premise in mind, Mueller’s future tenure may be at stake on the entire Amerithrax resolution. Will Mueller gamble that some new narrative that Ivins acted alone be bought by the same senators, scientists, media and public that are today so skeptical. Or will he feel this is too much of a gamble and would only make him and the FBI look worse if they try it? On the other hand if the FBI change their mind about Ivins acting alone – isn’t that still enough to force Mueller to resign? Is the above the reason why nothing is happening? Because any outcome has a bad ending? or they didn’t solve the case and are using the “Ivins did it all” theory to cover their own failure. And isn’t it well past time for the Congress and President Obama to insist that the FBI tell the American people the truth? In March of this year, Director Mueller testified before this Committee and I expressed my concerns and frustration at the lack of responsiveness from the FBI in answering questions submitted by all members of the Judiciary Committee. Director Mueller shared in my frustrations noting that the FBI had provided responses to outstanding questions to the Department of Justice for review, but that the Department has not yet provided them to Congress. As we stand here today we have questions from a previous FBI Oversight hearing dated March 2008 that remain outstanding and unanswered. That hearing was held over a year and a half ago. Not having responses to these questions is beyond unacceptable. So, the question is did the Department simply forget to get back to the Committee or do they have something to hide? Mr. Chairman, we have a real issue with the Department of Justice and until this culture of late and unresponsive answers to our questions is changed, I will exercise my rights to begin holding nominees at the Department. Sue Read has written a terrifying article about a series of strange deaths of bioweapons experts. Are the questions about these deaths … Kelly – Que – Wiley – Pasechnik – Ivins … the unproven rattling of conspiracy theorists? Or is there a pattern here that is truly terrifying? The death of Dr. Bruce Ivins, and the FBI’s charge just 8 days later that he was the sole perpetrator of the 2001 anthrax attacks, is simply too convenient to accept without full investigation. And it is quite clear to any independent observer that we have not had anything near full disclosure of the basis for either scientific or investigative aspects of the FBI’s case. New doubts arise whenever any new facts are presented. The FBI’s case just doesn’t wash. In my novel CASE CLOSED, I put forward a fictional scenario to explain this and other aspects of the case where the official version of the facts seem less than believable. I don’t contend that my fictional account is what really happened, but I am convinced I have raised the right questions and that the FBI has yet to provide adequate answers. Please contact your Congressman and demand that Rush Holt’s Anthrax Investigation Commission, currently awaiting action in the House Judiciary Committee, become a reality. The day Dr David Kelly took a short walk to his death in the Oxfordshire countryside, an unopened letter lay on the desk of his book-lined study. No one has ever explained why the eminent scientist and UN weapons inspector did not open the letter, but everyone close to him is convinced he knew its contents. It was designed to silence him because his Ministry of Defence bosses had discovered that not only was he secretly talking to journalists, but was also preparing to write an explosive book about his work. Dr Kelly had examined the Government’s ‘sexed up dossier’ which declared that Saddam Hussein had weapons of mass destruction which could be activated in just 45 minutes. The claim was used by Tony Blair in 2002 as the central justification for the Iraq war. In one final phone conversation he told a caller he wouldn’t be surprised ‘if my body was found in the woods’. And so it was to be. The official inquiry into his death later decided that he committed suicide – by slashing his wrist and consuming a cocktail of painkillers. But this week, 13 respected doctors declared that it was medically impossible for Dr Kelly to have died in this manner. They are mounting a legal battle to overturn the suicide verdict. A new film, Anthrax War, to be released in London this weekend, also asserts that Dr Kelly had spent hours writing a tell-all book which would violate the Official Secrets Act by exposing Britain’s dubious authority for toppling Saddam Hussein. A detailed medical dossier by the 13 British doctors, however, rejects the Hutton conclusion on the grounds that a cut to the small ulnar artery is not deadly. The dossier is being used by lawyers to demand a proper inquest and the release of Dr Kelly’s autopsy report, which has never been made public. Their evidence will be sent to Sir John Chilcot’s forthcoming Iraq War inquiry. 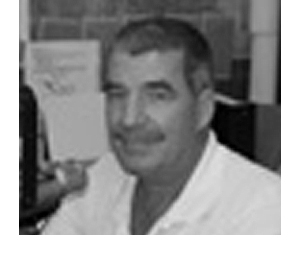 Five weeks later, Dr Benito Que, a cell biologist known to Dr Kelly, was found in a coma near his Miami laboratory. Dr Que, 52, was found unconscious outside in the car park of his lab and died in hospital. Officially, he suffered a heart attack – although his family say he was struck on the head. Police refused to re-open the case. Ten days after Dr Que’s death, another friend of Dr Kelly died. 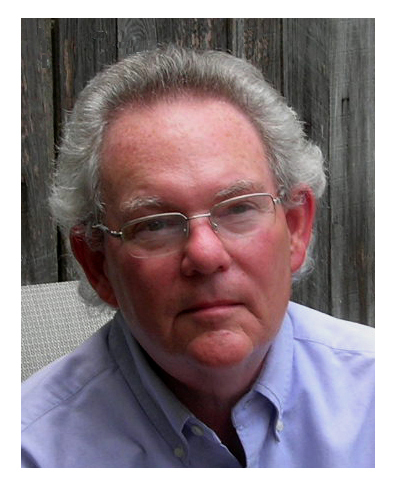 Dr Don Wiley, 57, one of America’s foremost microbiologists, had a U.S. Government contract to create a vaccine against the killer Ebola fever and other so-called doomsday germs. His rental car was found abandoned on a bridge across the Mississippi. The keys were in the ignition and the petrol tank full. There had been no crash, but Dr Wiley had disappeared. The FBI visited Wiley’s laboratory and removed most of his work. A month later his body was found 300 miles downstream, with evidence of severe head injuries. No forensic examination was performed and his death was ruled ‘accidental’. And there is more. The most mysterious death of them all happened to Dr Vladimir Pasechnik – a Soviet defector Dr Kelly knew well. As chief director of the Institute for Ultra-Pure Biological preparations in St Petersburg, Pasechnik had developed killer germs. ‘I want the West to know of this. There must be a way to stop this madness,’ he told Dr Kelly in a safe house. The two scientists became friends. And soon Vladimir had set up the Regma Biotechnologies laboratory, near Porton Down. He seemed healthy when he left work on the night of November 21, 2001. Returning home, the 64-year-old cooked supper and went to sleep. He was found dead in bed the next day.